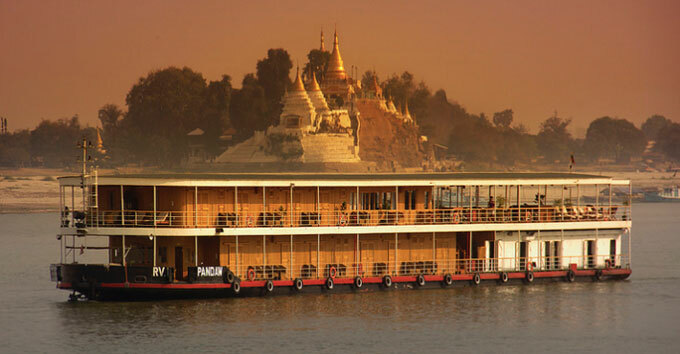 (9 a.m. AEST) -- Cruises between Bagan and Mandalay in Myanmar relive the glory days of river cruising in colonial Burma. 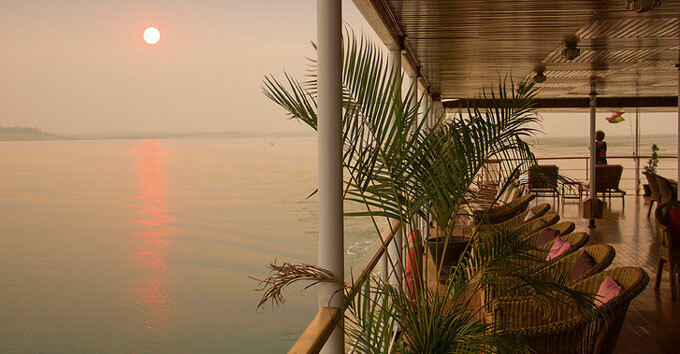 With capacity for 36 passengers, Kalaw Pandaw sailed with just 14 on our unforgettable seven-night voyage. Here are our hits and misses. Heartfelt service was provided by every member of the crew, from the room attendant through to the captain. The all-male crew outnumbered the passengers and made it their mission to deliver a top-notch week. Shore excursions were a breeze with small group numbers (sometimes just five of us set out) plus a guide and two crew members always on hand to lend a steadying arm or a cold drink of water. Forget about losing weight on this cruise. The food is fabulous, and there's more than enough of it. A special shout-out to the sous chef who bakes fresh bread and pastries every morning from 4am. He comes up with dazzling creations, including a hedgehog bread roll with crunchy spikes and olive eyes. The ship's design is a beautiful homage to the steamship flotilla that sailed these waters a century ago and inspired writers including Somerset Maugham, George Orwell and Rudyard Kipling. Decked out in teak and brass, with period-inspired chairs and decor, ship buffs will find plenty to Instagram about. Shore excursions, lectures and film screenings that focused on a deeper learning of authentic cultural issues. We came away knowing much more about Myanmar than we did before, though not nearly enough. Making a mental note to read up more about the country's past and present. The cocktail hour on an empty sandbank was a beach party with a difference. Crew members set up a bar, a bonfire, a DJ station and a pick-up game of soccer. Cue the music and dancing on the sand. A great night was had by all. The river is a busy, working artery through the heart of Myanmar. Early morning wake-up calls came from the outboard motors on fishing boats, barking dogs and crowing roosters. If you love to sleep in past 5am, pack some earplugs. 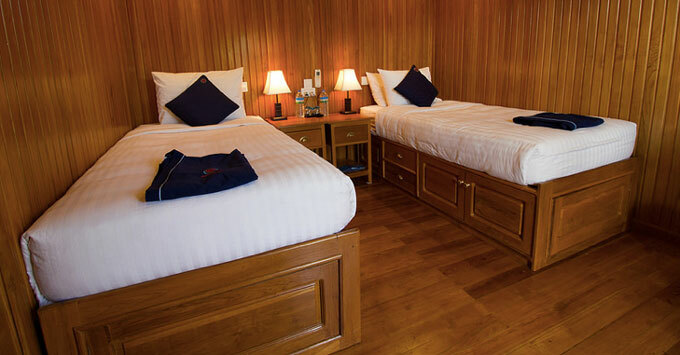 Travellers to Myanmar should accept they will end each day with very dirty feet. Temples require barefoot entry, and the floors are less than clean. Shore excursion walks into small villages are on dusty, unpaved roads. Leave your best shoes and clothes at home. The Pandaw crew offer a complimentary shoe-cleaning service every time passengers re-join the ship. Speaking of feet, we would have jumped at the chance to book a foot massage onboard. As the ship is too small for a spa, perhaps an outdoor massage station could be set up on the covered sun deck. 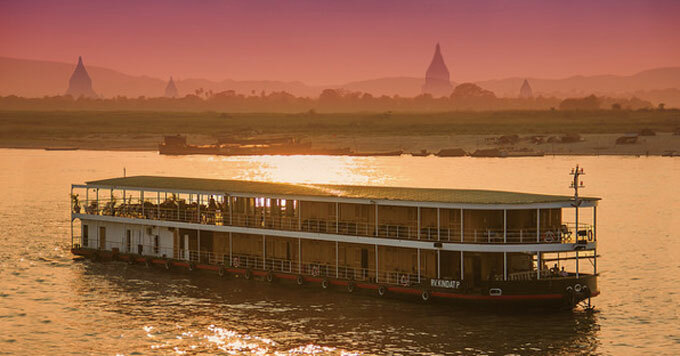 Read our Irrawaddy River Cruise Tips for more on the itinerary.